Fourth graders continued their study of cultures from around the world with this unit on Japanese art. 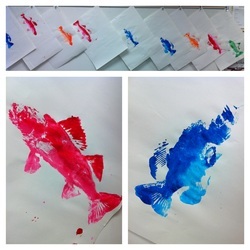 Students watched a video introduction to the history of gyotaku prints and a brief demonstration. 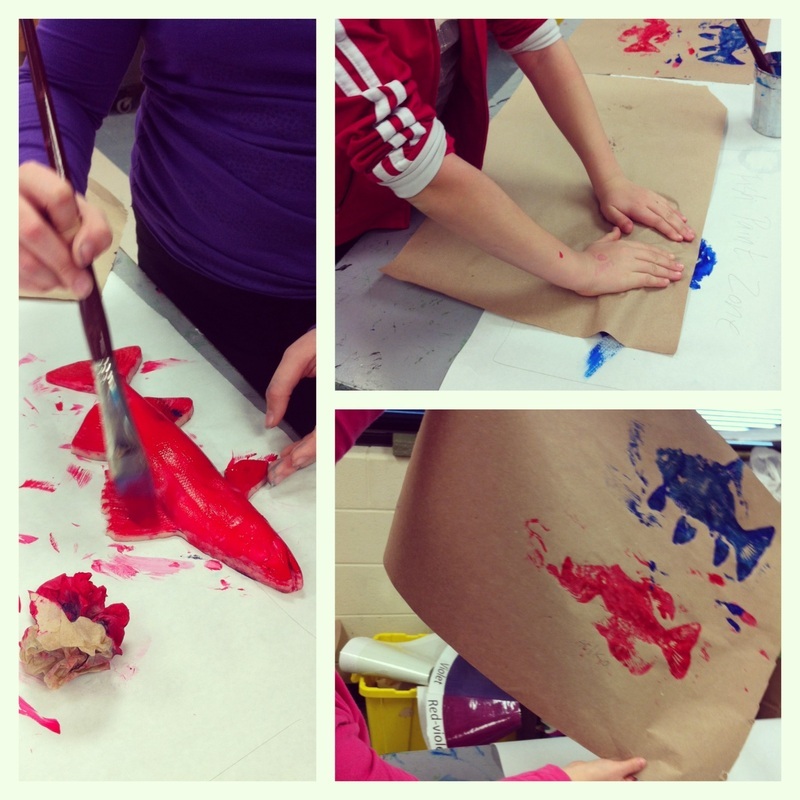 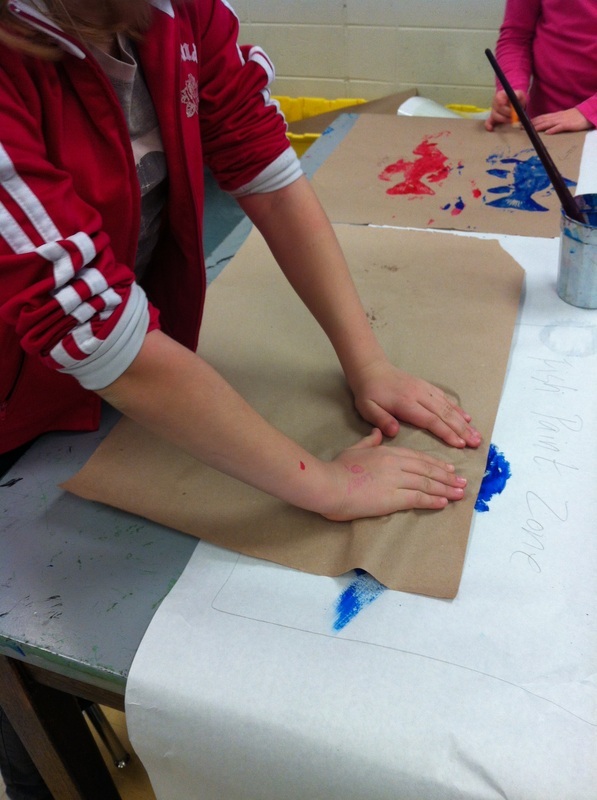 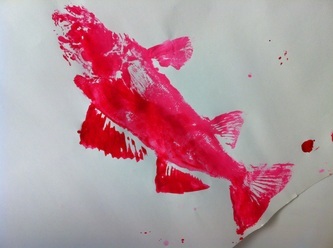 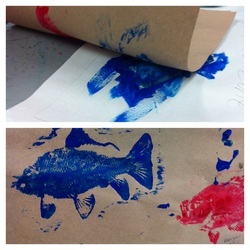 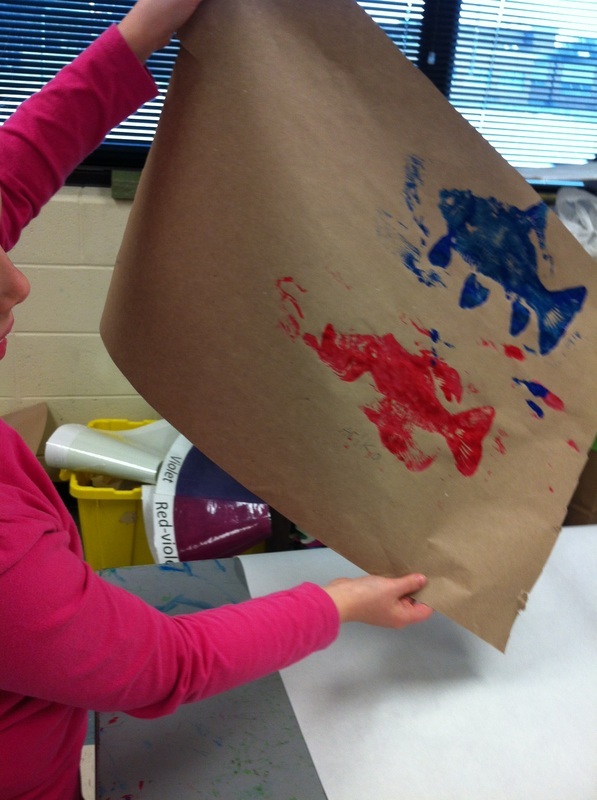 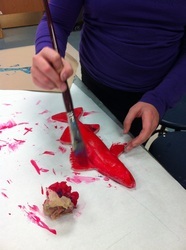 We practiced painting the rubber fish molds with tempera paint and first printing on brown parchment paper. 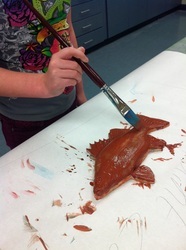 Students worked together to share the paints, brushes and five fish molds. 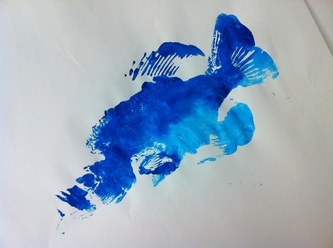 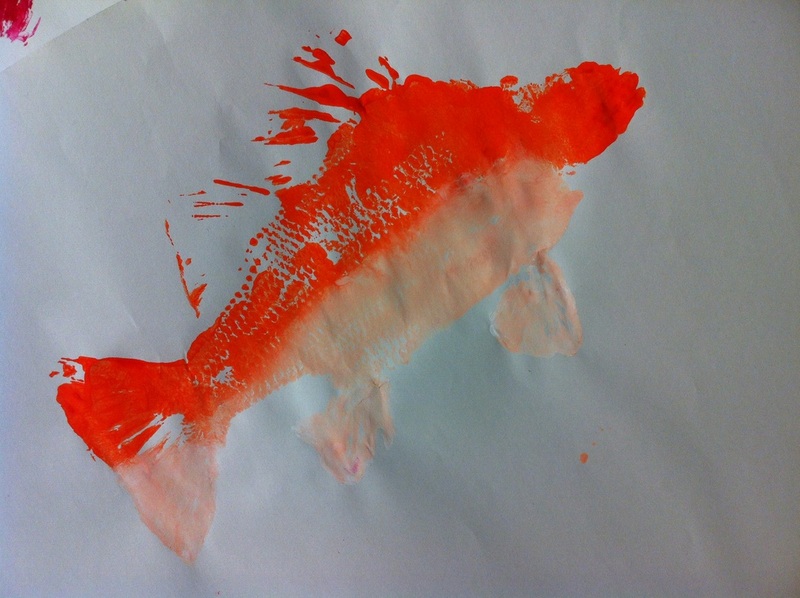 On the next day of class, each student printed one fish in the color of their choice. To create a lifelike representation, students added white paint to tint the fish's belly. 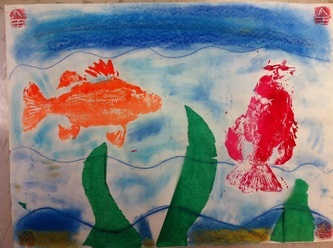 Once each student had printed their fish, the paper was hung up to dry and students helped another with printing and clean-up. 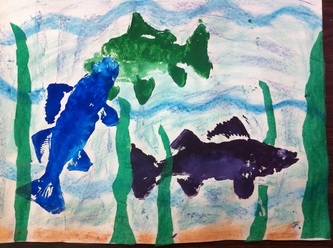 On the following day of art class, students were encouraged to add one or two additional fish. 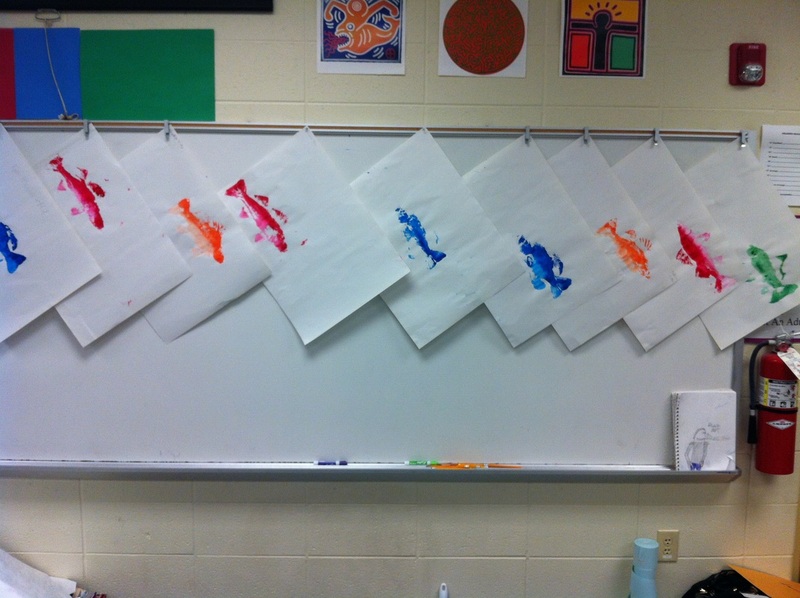 We reviewed the color schemes we had learned during our unit on Chinese art, and students were instructed to follow either a warm or cool color scheme. Below are examples of students practicing their prints. 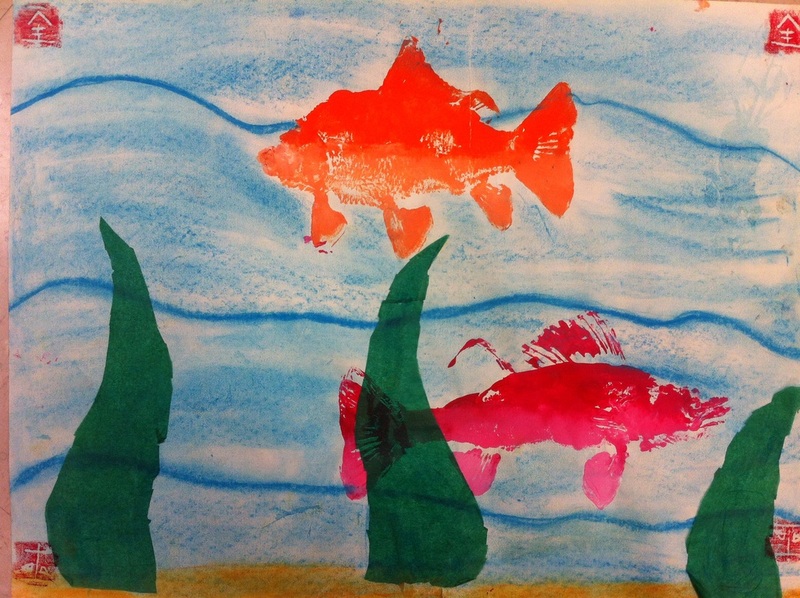 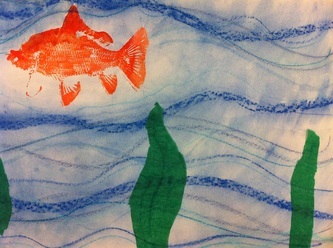 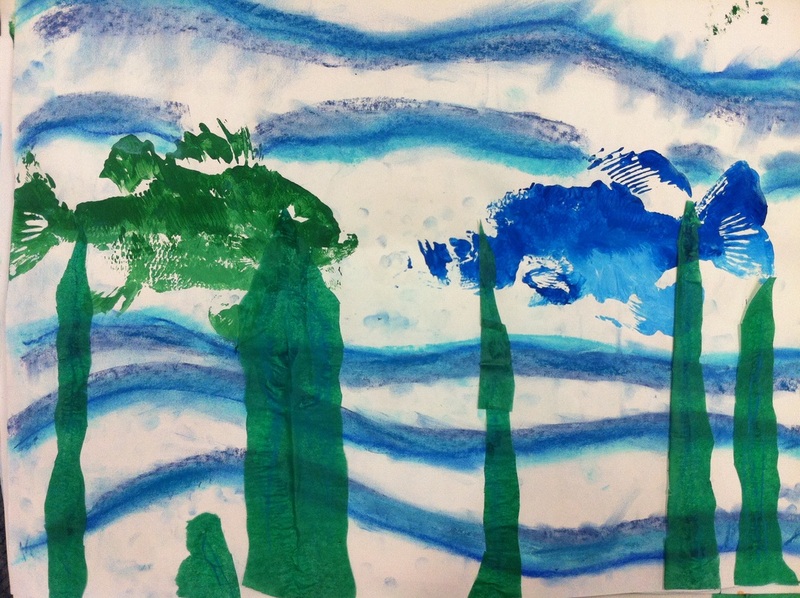 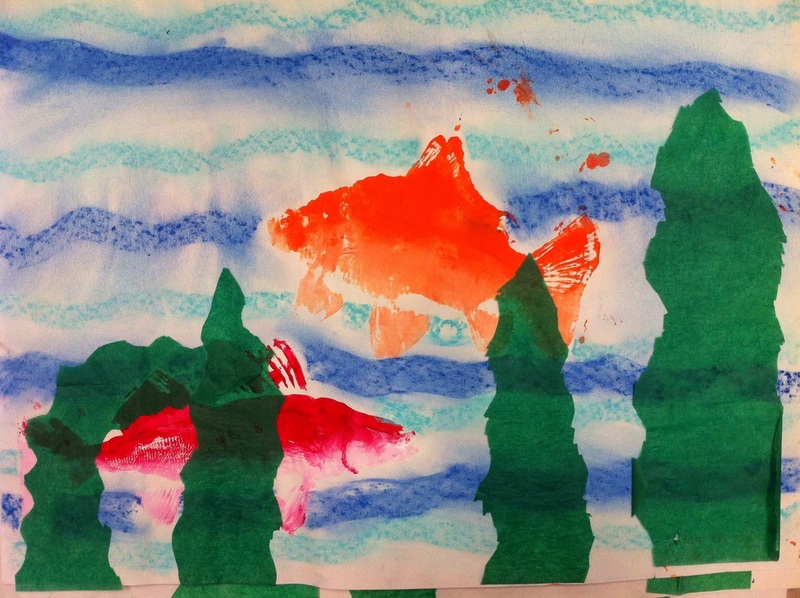 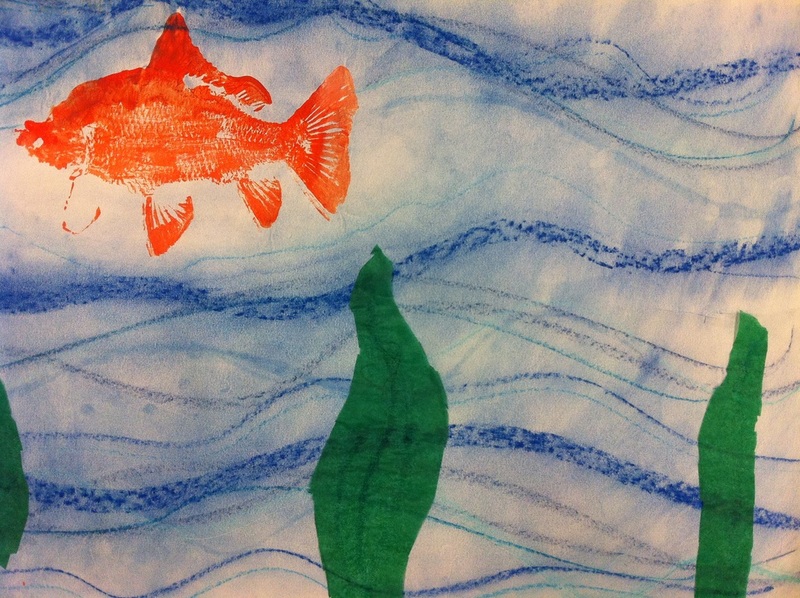 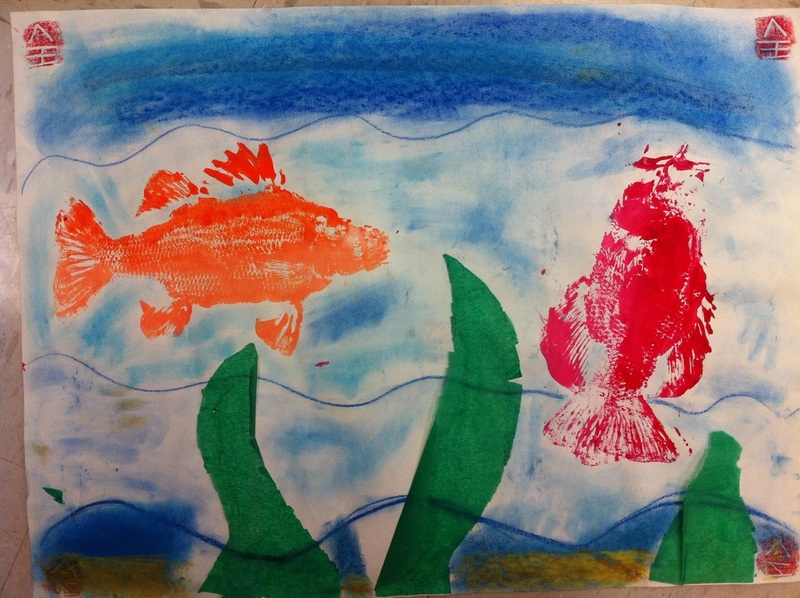 After students had printed their fish, they were encouraged to complete their composition by creating an underwater environment. Students were given chalk pastels and green tissue paper to work with. 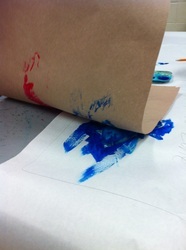 We talked about the use of space and balance, and how to create depth and overlap using the tissue paper. 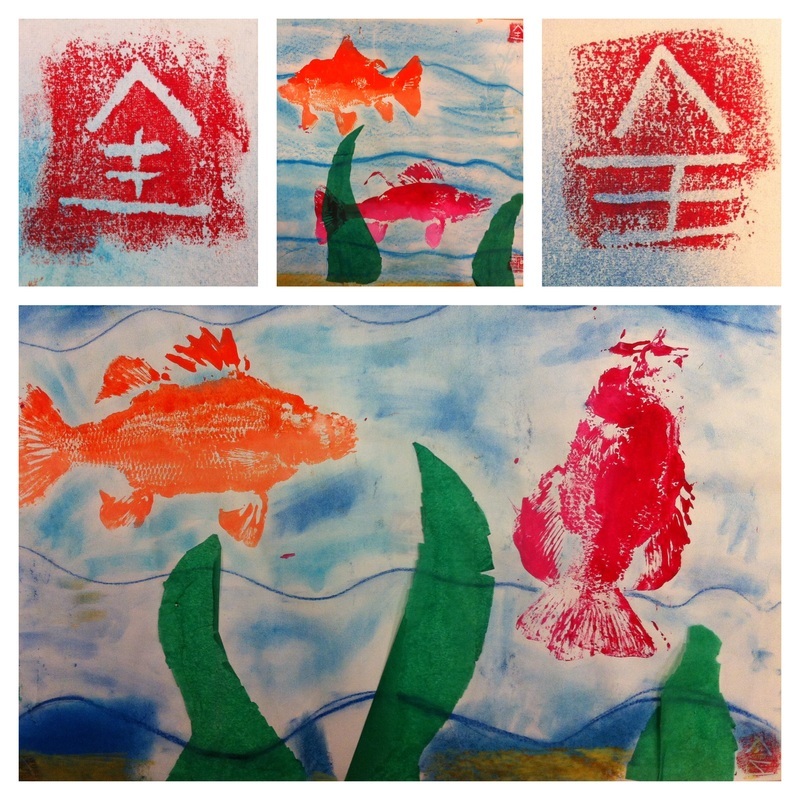 When the composition was complete, students finished the assignment by adding a red chop print with the Japanese character of their choice. Students carved the character in reverse into a small sheet of Styrofoam. 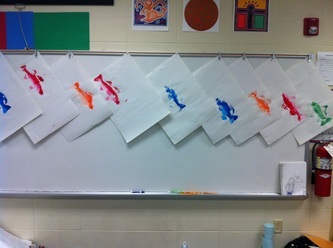 Below are examples of the finished artwork.